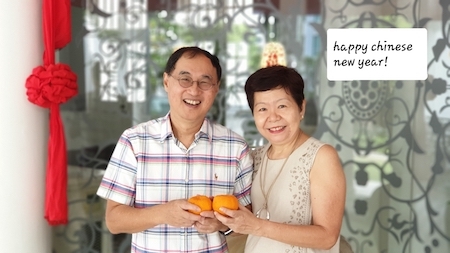 This was the first time my wife and I celebrated Chinese New Year without our children. They were all overseas. This felt empty, but that’s why they call it empty nest! However it was a joy to have Baby and family, Simeon, and my brother over for reunion dinner on the eve. My wife cooked up a storm and the combination of dishes looked impressive. On the first day it was to my eldest brother home that my siblings and their family gathered. It is a good tradition to pay respect to the eldest on the male side – in keeping with ancient Chinese traditions. CNY is all about family and the lunar new year. In China, after a long cold winter, the first signs of spring is always welcome. In Singapore, it’s hot all the year round. There isn’t that sense of anticipation that makes CNY so welcome. Nevertheless, we keep some of the traditions. 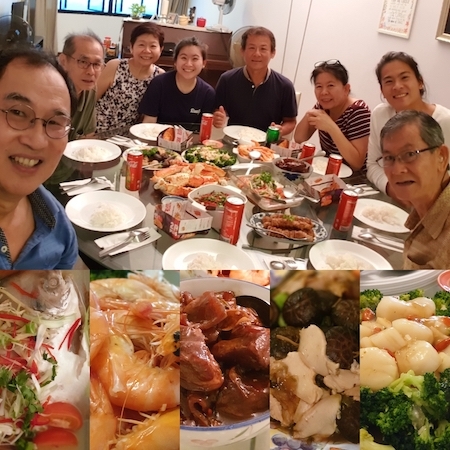 Later it was another potluck dinner with my mum’s siblings and families, and the second day of CNY was a potluck meal in my home again. After these several rounds of makan, conversation and in particular cooking, for my wife, she felt absolutely tired and needed a few days of afternoon naps to recover. She gets better at cooking with each passing year but the spirit is willing and the body is stretched to its limits. Next year we may get smarter. But I don’t know how because whatever smart ideas will be offset by the return of my two sons and their families. We may cook less days, but still cook more food. Ha….. still at least it is a good problem. My wife could have a time-out but I couldn’t because I had to preach on Sunday, which was the 6th day of Chinese New Year and a day we launched the Andrew Initiative to all three congregations: the English and Mandarin and deaf congregations together. This poses the challenge of communications that suit quite different people groups. Thank God for his grace that it was suitably done. What an exciting and meaningful and tiring Chinese New Year! We rejoice in all the blessings of health, prosperity and success because ultimately God is the source of this abundance. Praise Father, Son and Holy Spirit! Amen. Previous Previous post: Celebration of Hope tickets going, going, gone.